Today, we are going to look the best Small Business WordPress Themes for business and company’s websites. Finding the right WordPress Themes isn’t that easy, so we have analyzed and carefully picked the best responsive small business WordPress themes from the best WordPress theme developers and providers. These small business WordPress themes are developed and created by professional who served in long term to satisfy in customer services and support! Let’s have a look at the best WordPress themes for small business websites. 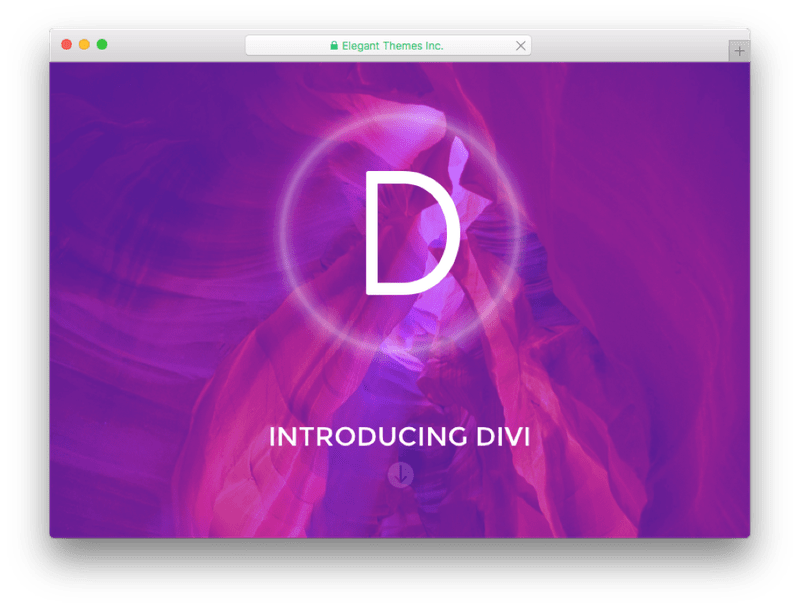 The Divi WordPress Theme is a multipurpose responsive web design from ElegantThemes developer club. 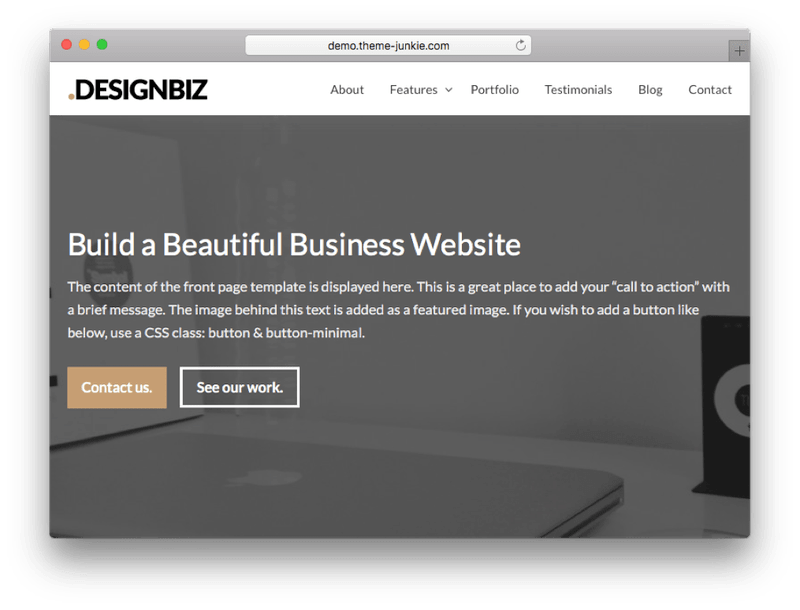 Whether you are planning to create the simple or large-scale business, this theme will give you plenty of features to create an amazing WordPress business website. Moreover, Divi WordPress Theme comes with drag and drop live customizer with advanced technology. It comes with 18 pre-made layouts and 40 content modules to use. There are also sufficient of amazing features available that can be found in the theme panel and live customizer options. 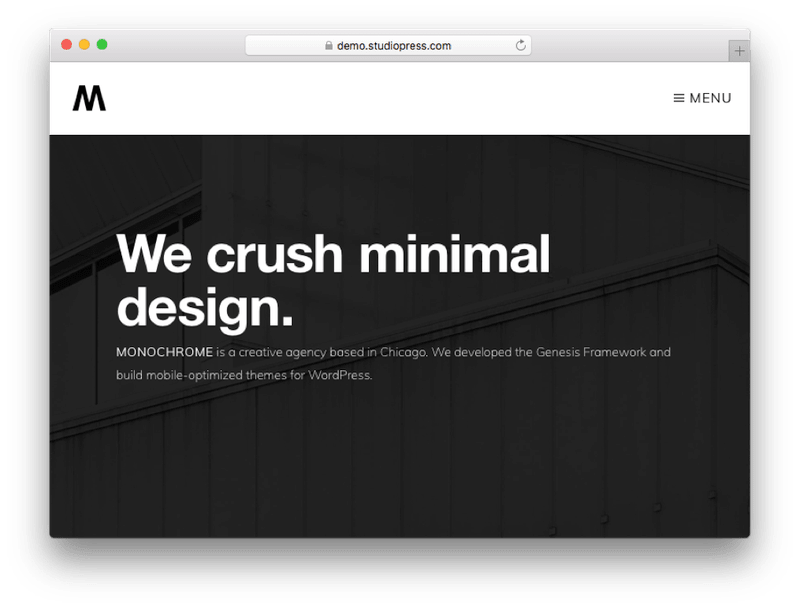 Monochrome Pro is a child theme of Genesis framework, which is developed by StudioPress club. This theme would be perfect choice those who are looking for simple yet powerful clean responsive web layout for their small businesses. The design is very clean and tons of customizable options available with Monochrome Pro WordPress Theme. This theme is highly recommended by most of WordPress professionals to design a simple and powerful business websites. It comes with theme panel options, WooCommerce plugin ready, 4 custom widget areas, live theme customizer, customizable header, and HTML5 markup support. Moreover, you will also have landing page; pricing page and custom hook options. Designbiz is another great responsive WordPress theme for the small business website. This theme comes with multi purpose features to showcase your business and services into different sections, such as portfolio, blog, galleries, and testimonials. It would be another best choice to use for small business and companies. 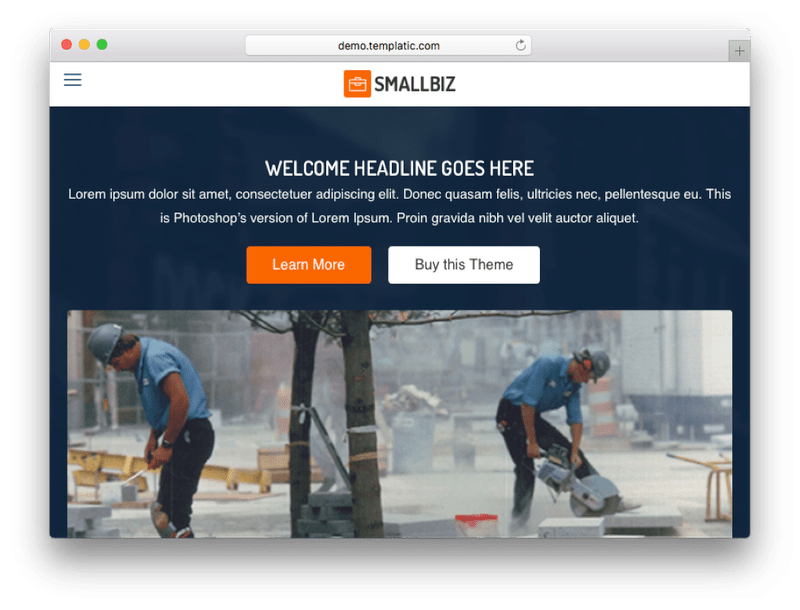 Designbiz WordPress Theme will help you to create a simple and powerful online small business website for all kind of industries. 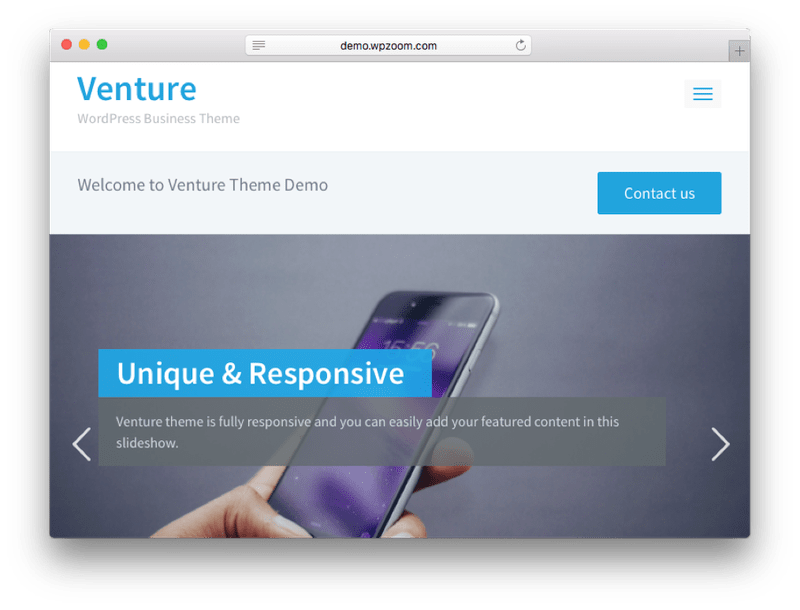 Venture 2.0 is the updated version of responsive WordPress theme to use for business and portfolio websites. This theme is specially designed and developed by WPZoom developer club. Though it is a simple business WordPress theme, it can be used for small business, corporate companies, portfolio showcasing for photographers or any kind of online small business owners. It comes with all great features to customize the appearance, typography, font styling, custom background images, unlimited coloring options and much more. The homepage of Venture 2.0 WordPress theme is completely dynamic and it will help you to build your own desired homepage layouts for business websites. Corporate is another great responsive WordPress business theme from MyThemeShop developer club. This theme will help you to create a fantastic responsive online business website for small to large-scale industries. 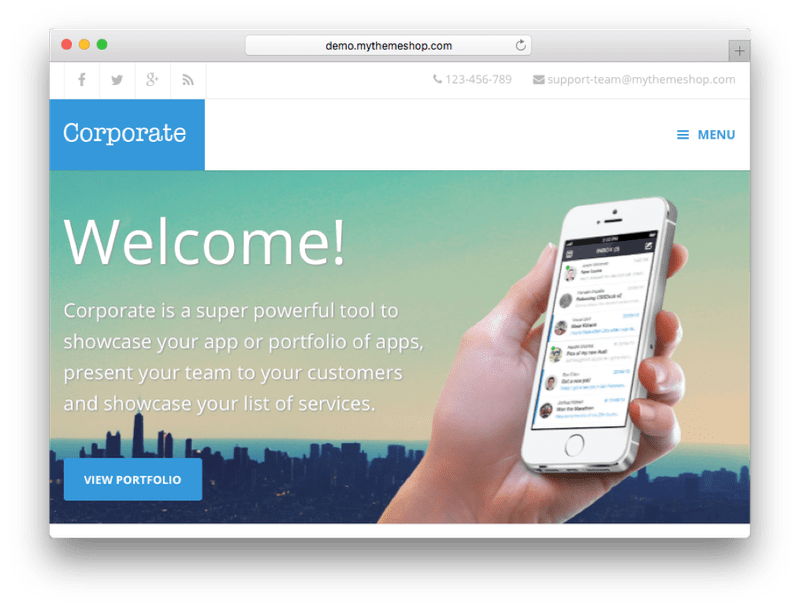 Corporate WordPress Theme is professionally designed to use for business, portfolio, corporate agencies, freelancers, portfolio and all kind of small business websites to showcase their services, team members, experience, and testimonials. The design of corporate theme is very simple and clean lightweight design that loads fast and SEO optimized. Roxima is a one page responsive WordPress business theme from cssigniter developer club. This theme has been designed with one-page design to showcase your business services in one place. Roxima WordPress Theme will allow you to showcase the services with endless design combinations. It comes with all great features, such as header options, menus, layout options, widgets, social network integration, footer options, static front-page option and many more. 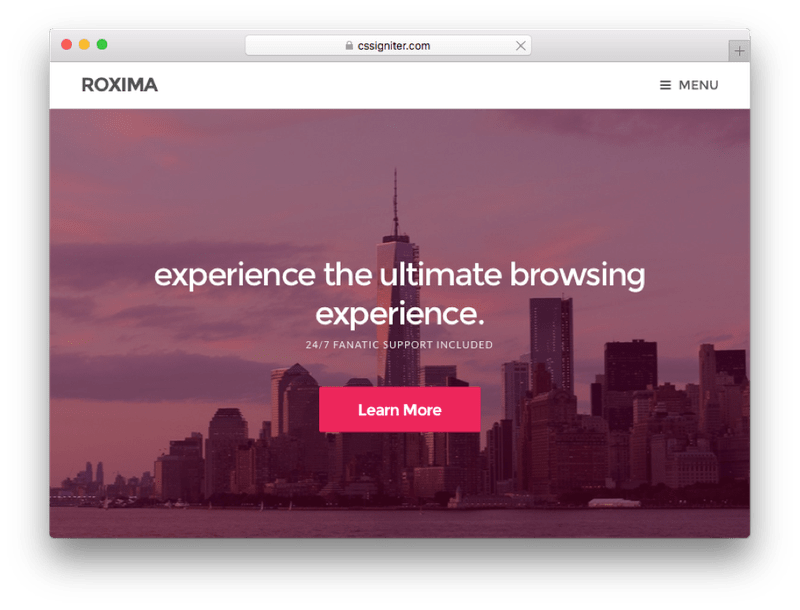 the homepage of Roxima WordPress theme is fully customizable with drag and drop widgets, hence you can create out of box small business website for your clients/visitors! 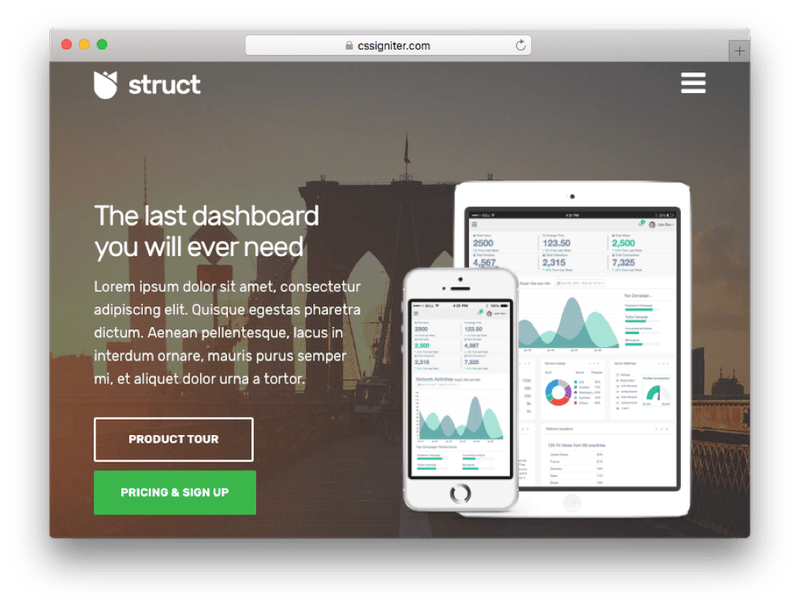 Struct is a clean and creative WordPress business theme from cssigniter developer club. This theme is specially designed to use for the software business, SaaS, start-up small business and mobile app oriented websites. Struct WordPress Theme is fully customizable with drag and drop widgets and it comes with 13 custom widgets including contact maps, scheduling, social networks and more! There are also 5 custom content types for Services, projects, team, FAQ, guides and also clients, testimonials, and slideshows out of the box. Additionally, Struct theme will give you full-color control and support on major site builder plugins such as The Divi Builder, SiteOrigin Page Builder, and Elementor page builder plugin to build live custom pages. SmallBiz is another great responsive mobile app view small business WordPress theme from Templatic developer club. This theme is purposefully designed to use for small business websites to showcase their services and business efforts to the visitors/clients. SmallBiz WordPress Theme has designed with unique mobile app view business web design that will look alike mobile app business website on all smartphones. Everything is easy to customize from the backend admin panel options, such as carousel slider, latest news, testimonials, newsletter, social media integration and much more. 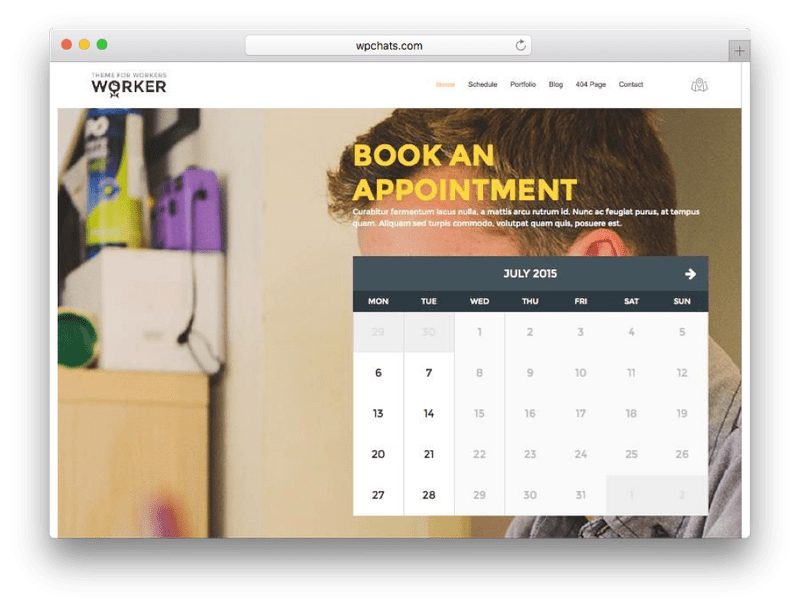 The worker is a small business booking WordPress Theme from TeslaThemes developer club. It is specially built to use for entrepreneurs & small business owners in many fields: hair stylist, physician, coach, mentor, teacher, personal trainer, consultant, contractor, cabinetmaker, and much more. You can schedule an appointment from visitors, calendar shortcodes, Google calendar compatibility, and custom email notification for customers. 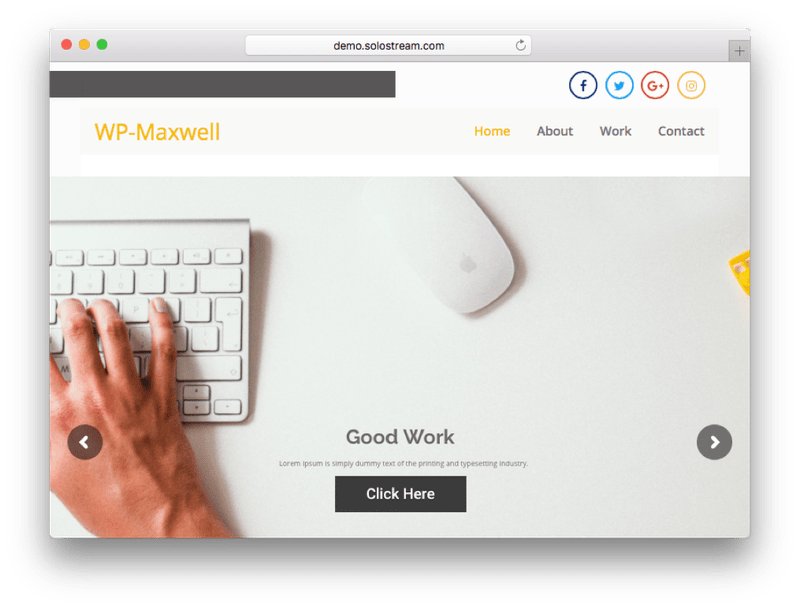 WP-Maxwell theme is a simple and clean responsive WordPress business theme from Solostream developer club. This theme gives you a professional appearance for your small business website with lots of features, such as custom background, theme panel options, typography settings, Google fonts, customize CSS, add post thumbnails, flexibility layouts, social media integration and custom footer section. 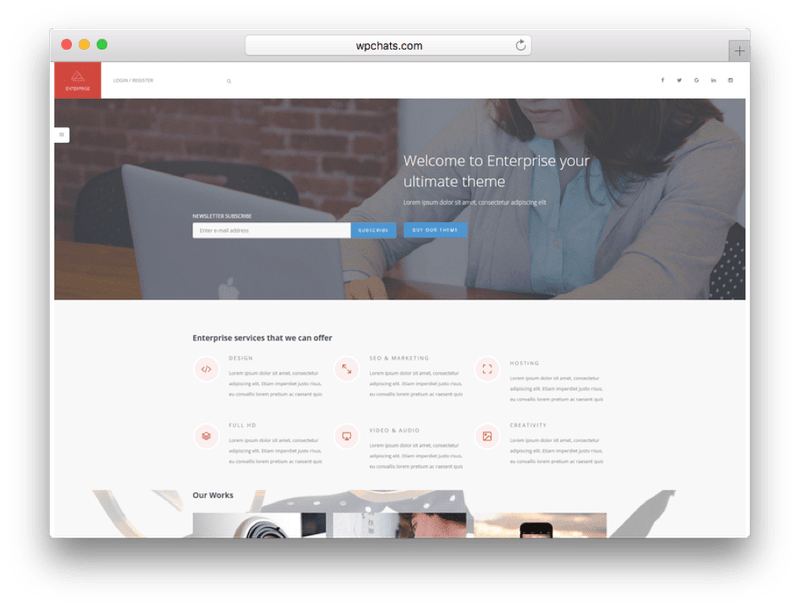 Enterprise is a responsive WordPress business theme from TeslaThemes developer club. This theme can be used for companies; business corporates, small organization and multi purpose commercial services based websites. Enterprise theme is very creative and modern approach to showcase your business services. It is also built with forum, FAQ, knowledge base to build a relationship between client and employees. You will find all great features to showcase the services, such as hero image with subscription box, showcase portfolio works, statistics book, graph statistics, our team, pricing tables, partners and footer sections.